Porsche 968 Club Sport, Supercharged by Ninemeister. 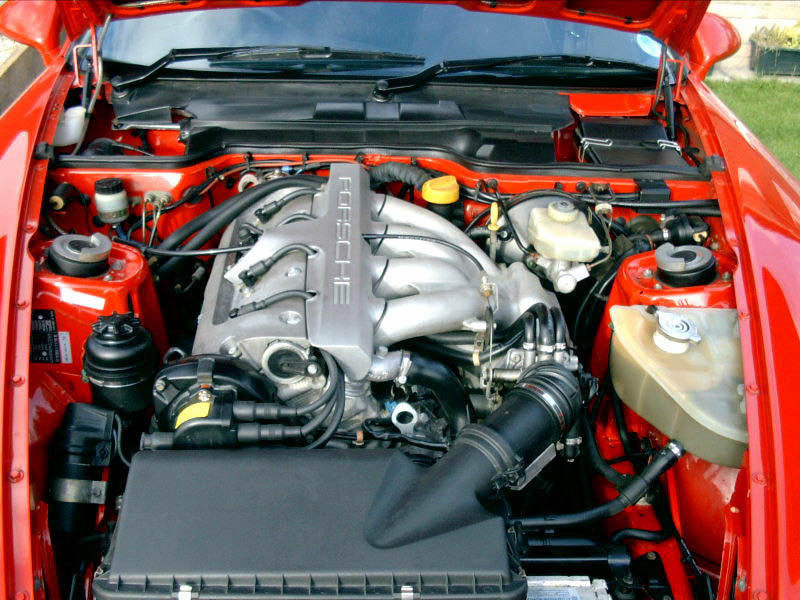 When somebody buys a Porsche 968 they get it with a standard well engineered 240bhp 3 litre 16 valve engine with Variocam. 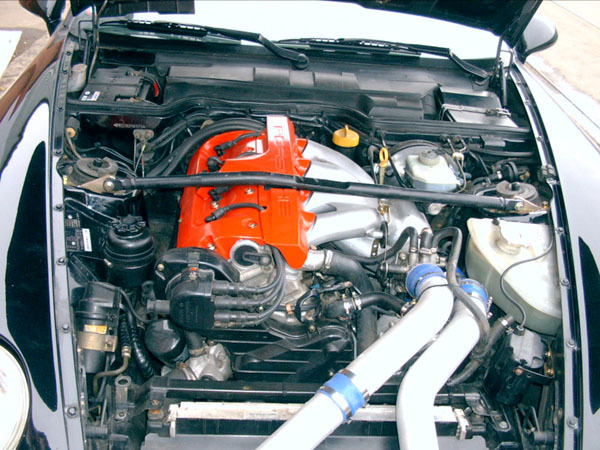 This engine is the culmination of more than 10 years of engine development on the 924/944 series of engines. It started with the 2.5 litre straight four which progressed to the 2.7 and onto 3 litre models with a 2.5 Turbo thrown in. In September 1985 the first of the 16 valve engines was unveiled at the Frankfurt motor show and in August 1986 the first 2.5 litre 944 S starts in production giving 190bhp. Nearly 2 and a 1/2 years later in Jan 1989 production of the 3 litre 944 S2 model is undertaken to give the most powerful normally aspirated 3 litre in production. This model puts out 211bhp, only 9hp short of the base model 944 2.5 Turbo launched in 1985, which was able to compete favourably with the 3.2 litre 911 Carrera. In July 1991 production of the 944 S2 stops and in August the 968 is launched. There are some modifications above the S2 namely Vario Cam, for optimum power throughout the rev range. Improved combustion chamber and inlet manifold design, and lighter pistons and con rods to help give the engine 240 HP at 6200 rpm and torque of 305Nm at 4100rpm. In fact the engine is generally thought to be very difficult to extract any extra horsepower out of it. So what can you do if you do want to extract those few extra ponies or go the whole hog and end up with a true supercar. Porsche themselves manufactured 14 968 Turbo S models and also 4 968 Turbo RS models for racing. Giving out 305 and 350bhp respectively by using the 3 litre block of the 968 with the 8 valve head of the 944 Turbo. For a few extra bhp, you can invest in things like performance air filters, performance exhausts, new engine management chips etc.. All of these will give some extra power but sometimes it could be almost negligible unless you do it as a whole package, and you could find that you have spent a not insignificant amount with only a modicum of extra power. To really give the 968 the power it deserves and is very capable of handling you would need to either Turbocharge or Supercharge. Very basically, pump more air and fuel into the engine and you get more power out. 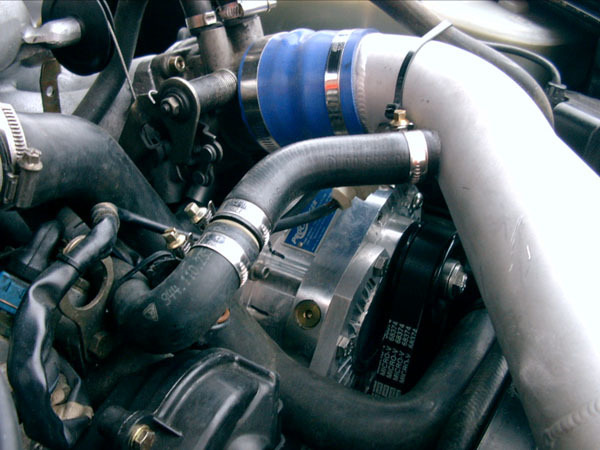 Forgive me if you already know this but turbocharging uses the flow of the exhaust gases to drive a turbine which will create a pressure that the engine can use for greater combustion, this way of adding 'boost' is prone to what is known as turbo lag because the engine has to reach a certain rev range for the turbine to spin quickly enough to provide the boost. This is one of the reasons why some cars now employ twin turbos, not just for the extra power but also to have a turbo that can be spinning earlier to smooth out the power curve, and help to get rid of the dreaded turbo lag. Porsche are now famous for their very successful turbocharged road and race cars. A supercharger on the other hand works on the principle that you can take an auxiliary drive belt direct from a crankshaft pulley to drive the 'airpump' itself, because it is direct drive it will not suffer from any sort of lag, the boost would be there at any revs. Mercedes are making full use of this technology in most of their model ranges. On looking at the Speed Yellow demonstrator from the outside the car could look like a bog standard 968 Sport or Club Sport there is no real need to make any changes to the bodywork of the car. Under the bonnet the only major difference you see is that the air box has been replaced by 2 large bore pipes, one to the intercooler and one out of the intercooler. 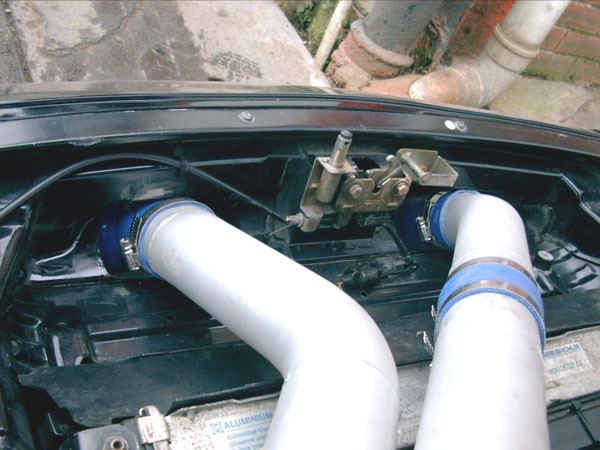 The supercharger itself is mostly hidden by these 2 pipes. The car is very impressive, the power band seems to go from about 2000rpm to 7000rpm, and it is smooth, just a constant feeling of having your head pushed into the headrest, in third gear you can accelerate from about 25mph all the way up to 95mph with no lag and no sudden kick in the pants just a massive thrust from behind that is relentless. It takes so little time to be in 3 figure speeds. I'd love to know what the 0-60 is but really that's academic stuff, you just know that this car will thrash anything it is likely to come up against. A lot of people rave about the 944 Turbo especially the 250bhp model and I have to admit that when I was choosing the 968 after having owned 3 944s previously, I had considered the 944 Turbo. My thoughts being OK how do I upgrade from a 211bhp 944 S2, well it was either going to be another lower mileage S2, a 944 Turbo but it would have to be the 250bhp rather than the 220bhp otherwise not much point. Or the 968 that had a standard 240bhp normally aspirated, but 968s where a bit expensive. I went for the 968 partly due to my wife reminding me about resale values, newer looks etc, but mainly due to the high bhp with no need for a Turbo. So if you can now imagine how quickly the 944 Turbo goes and then add another 100bhp. So when I say it is likely to beat anything it is likely to come up against on the road you see what I mean.I don't know how the term Supercar is defined but this is definitely in that bracket. In terms of pricing if you buy a very cheap 968 Sport or CS or even a Coupe with CS suspension. Have the engine top end and Variocam thoroughly checked and possibly refurbed for say between £1000 and £1500. Then have the Supercharger fitted you will still be looking at a figure less of than £18K. If you are thinking in terms of why would I pay a large percentage of the value of my car to have an after market accessory fitted then it's really not for you, because you're possibly thinking more of what the car could sell for later. That in my opinion isn't the way to think about this. I have traditionally thought in terms of keeping my cars absolutely original and even last year got bumped from third to fifth place in a regional concourse because I didn't have a PCGB sticker in the window, and I was accused of not promoting the Club, my argument being that my car didn't leave the factory with a PCGB sticker in the window. I have taken this up with PCGB and the rules are being 'reviewed'. Back to the point, you need to be forgetting about what the car is worth, resale values and originality, you would think about this type of modification purely as an investment for your future fun and pride of ownership, and that constant grin on your face when you are on the road, not least when the likes of Johnny GTI or Clio Chris decides to chance his arm at the lights with your 10 year old Porsche. It may be worth more than a standard set-up when/if you come to sell it, but that isn't why you would do it. For me it's worth the money and I am now struggling with the idea of keeping my Sport standard and original and being tempted by this awesome conversion. Trackday use? Imagine the power of a 5.4 928 GTS in a 300 kilo lighter 968 Club Sport body. What would you meet on a track that would be able to compare to it. I've been in a few 968s on track, including race prepared ones and they where able to compete very well with higher powered 911s once corners where involved. This car would now also blast them away on the straights and leave them standing. Phenomenal ! In normally aspirated terms and with comparative handling you are really looking at the performance of a GT3, then consider the comparative cost. Let's just reiterate, we are now comparing an £18000 968 CS in the same performance arena as a 996 GT3. And this isn't a modification that is going to go in a car that wasn't designed for this sort of power, as far as I am aware the same engine block and gearbox are used in the 968 Turbo S although some of the gears had higher ratios. (Haven't got confirmed details of the RS). If you go for a car with the M030 set-up it would cost a bit more but you would also get LSD, firmer suspension and bigger brakes. In terms of suspension if you don't have the M030 pack you can consult with Colin on their up and coming replacement suspension package. The experience of being in the car is something that I have been waiting for for a long time, in previous articles and write ups I have gone on about what the 968 Turbo must be like. I know the Turbo is going to be a reasonably different experience but I prefer normally aspirated anyway and that is one of the reasons I went for the 968 rather than a 944 Turbo in the first place. The power delivery on the supercharger is smooth and constant. After getting out of the car I'd like to (and could) use words like brutal acceleration but that might give the wrong idea about how it does the job. Imagine for every centimetre of accelerator travel you get an extra 50 percent of power above the standard car and that is what it is like, nice and simple, no lag, no waiting till you're at the right revs and in the right power band. So instead of expecting a Turbo to kick in and deliver it's power at say 3500-4000rpm or whatever it might be manufactured to, you can be in third gear tootling through a village following the local traffic at around the 1500rpm to 2000rpm mark at about 20/25mph and when the NSL sign shows itself, with a nice right hander, with a good view up the oncoming straight and you can progressively increase the forward motion of the car right up to 7000rpm, that equates to about 95mph with smooth but very quick acceleration. You look in the mirror and realise what you have just done, as you attempt to find the traffic you where previously following in your distant past. I'm sure the 0-60 must be around the 4 second mark. The builder of this conversion, Colin Belton of Ninemeister, complained about the induction noise, this might be an issue if it is a LHD car as that's the side the noise comes from, he is working on that and already knows how to solve it. It isn't intrusive though and at tickover isn't really noticeable at all, so at the lights and without body modifications nobody would think the car was anything other than standard. In conclusion this modification has to be on the driving wish list of every sporting 968 owner, the thing is, it doesn't just have to be a driving experience, it can now be an ownership experience which means you could be driving it every day if you wished and unleash the power as and when needed. Or own one for use at the weekends and the occasional track day. Real 968 Supercar performance at the cost of a low mileage dealer 968 or a clapped out 911/964 with much less power. Some would go for a standard very low mileage 968 to keep it pretty and polished. Some might go for the 911 purely because it's a 'Porsche 911' and they don't know any different. But if I had £18000-£20000 in my pocket to spend right now on a new toy and remember that would include a 968 CS possibly with M030, a darn good servicing and the supercharger fitted, I know what I'd be doing and there is no reason why a Supercharged 968 can't be pretty and polished as well.